The delicious Chinese and Thai fare plus the attentive staff of Wonton House Restaurant makes it an ideal venue for foodies to take pleasure in various dishes. People of Dubai can find this restaurant in Al Kawakab Buildings that is located on famous Sheikh Zayed Road of the city. 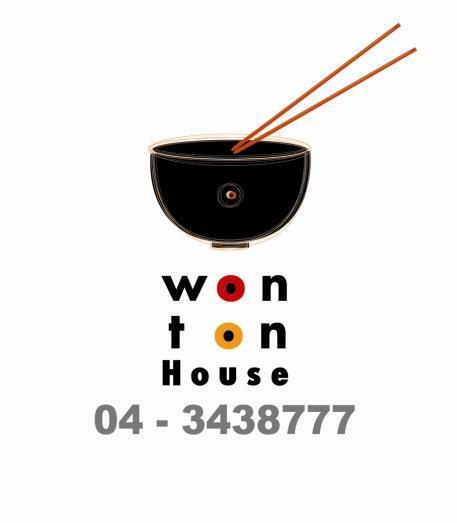 The menu of Wonton House Restaurant is quite extensive and comprises of Chinese and delicacies like prawns, duck, fish, lobster, crab, squid, poultry, meat, rice, noodles, vegetarian appetizers and lot more. As far as the drinks are concerned, guests of this eatery can order soft drinks like cola and fresh juices to wash the delicious food down. Chefs of this eating place work really hard to prepare traditional Thai and Chinese food, so it could meet the expectations of their clientele. This restaurant also caters vegetarian food lovers by serving them a variety of vegetables dishes. Smoking is permitted at this eatery therefore chain smokers would not need to worry. People in Dubai can also savour delectable delicacies of this bistro at a private place, if they opt for its take away service. To see the full menu of Wonton House Restaurant, click here. 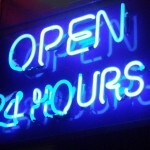 The operational hours of the Wonton House Restaurant between Saturday and Wednesday are from noon till midnight, whereas on Thursday this eating place remains open from noon to 1:00 am and on Fridays its opening hours last from 1:00 pm to 1:00 am. 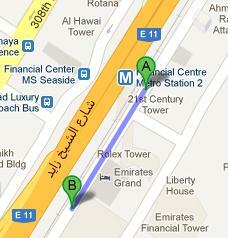 Al Kawakab Buildings, Sheikh Zayed Road, Dubai, United Arab Emirates. Financial Centre Metro Station 2 is just 300 metres and 4 minutes walk away from the Wonton House Restaurant at Sheikh Zayed Road in Dubai. Patrons of this metro station need to head in the southwest direction in order to reach Wonton House Restaurant. Bus numbers 27 and 29 can be used to reach the nearest bus stop of Wonton House Restaurant, which is known as Emirates Tower MS Landside – Dubai. This bus stop is 900 metres away from Wonton House Restaurant and this journey can be completed on foot in approximately 10 minutes, if a bus user heads in the southwest direction form Emirates Tower MS Landside – Dubai. Directions.